Each year, the Center for the Study of Active Volcanoes at the University of Hawaii at Hilo holds an international training program to assist developing nations in monitoring technologies for potentially active volcanoes. 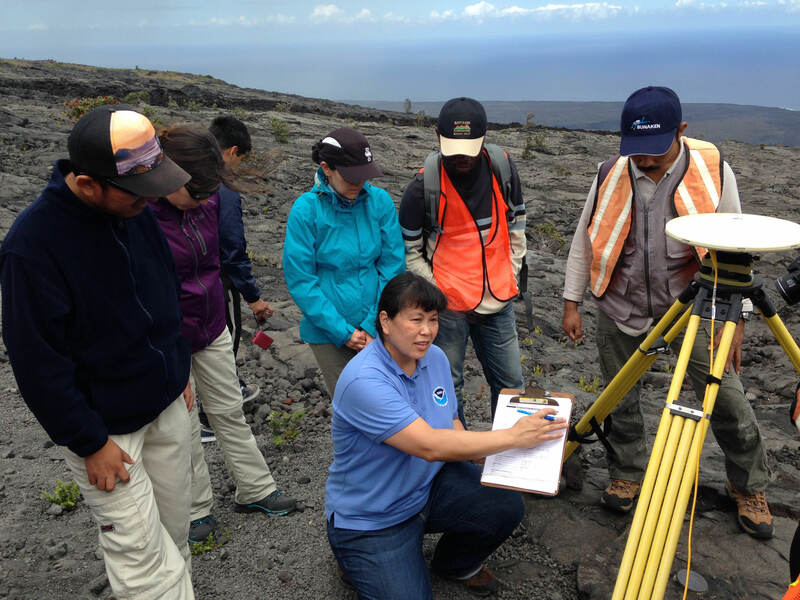 This year, National Geodetic Survey's Francine Coloma shared her expertise in deploying and managing GPS equipment, networks, and related surveying techniques in this humanitarian outreach effort. The program is an international training course in volcano hazards monitoring sponsored by the U.S. Geological Survey's Volcano Disaster Assistance Program. This photo was shot at Holei Pali on the flank of Kilauea volcano on the Big Island of Hawaii.